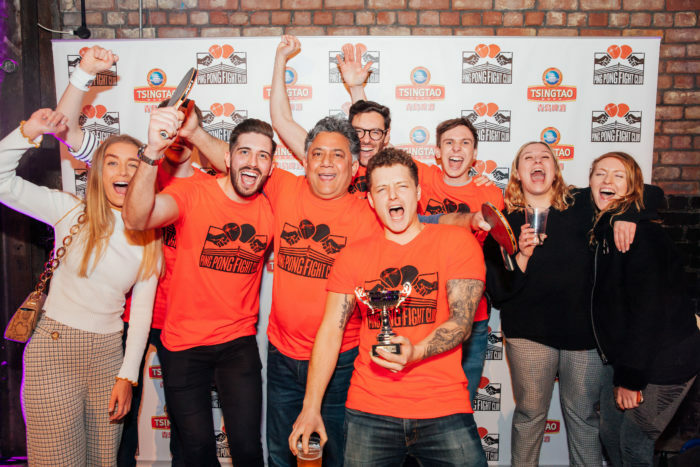 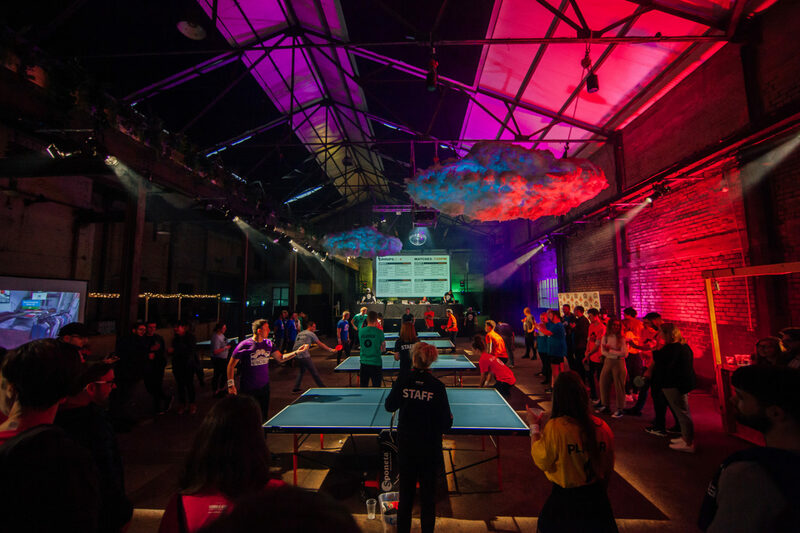 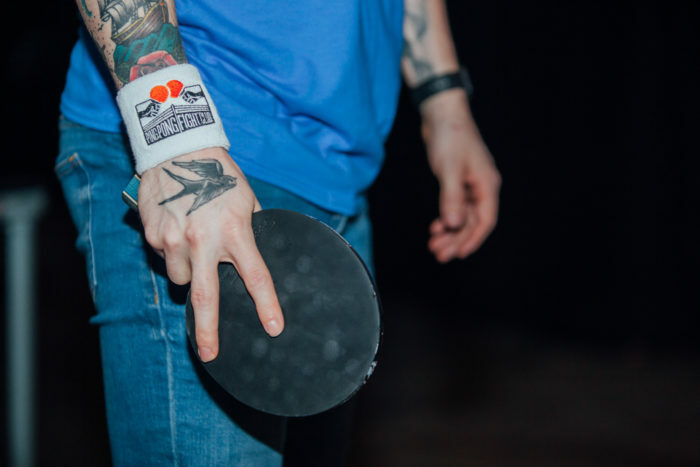 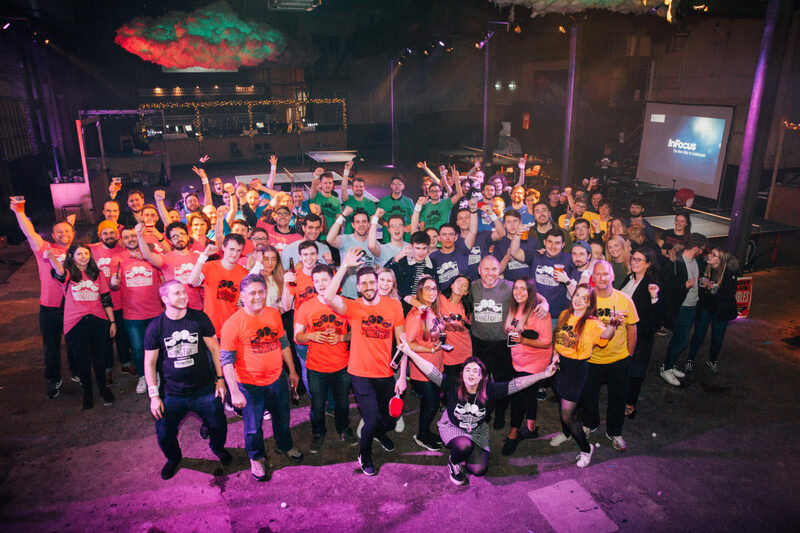 A massive thank you to all our companies who came out in force to take part in Ping Pong Fight Club Liverpool 2019 at Camp and Furnace. 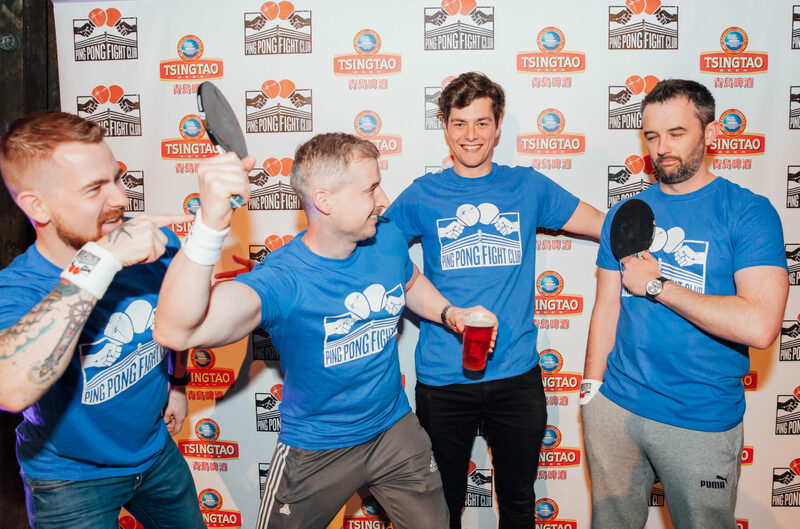 The energy, camaraderie and all-round tongue-in-cheekiness, not to mention the fierce ping pong rivalry, made for a memorable night out. Here is a little video we shot on the night! 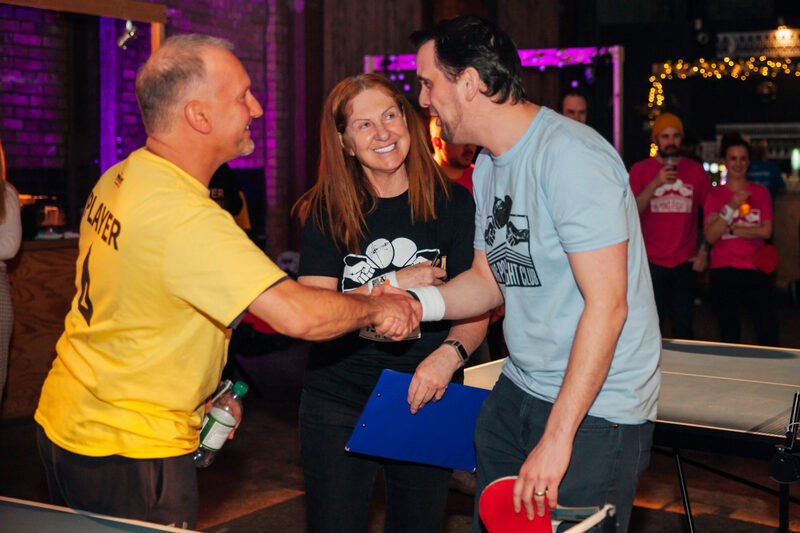 Signature Living All-women’s Team – We sent a Table Tennis England coach to their offices to get them ‘tournament ready’. They were all magnificent on the night and truly embodied the Ping Pong Fight Club spirit, demonstrating some silky skills, wit and gritty determination! 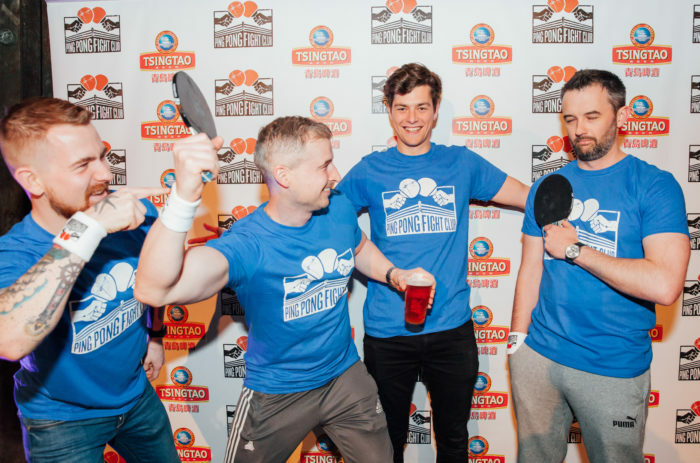 Signature Living – Reigning champions who returned with a new team of smiling assassins and wadya know, they only did it again! PH Creative - Ping Pong Fight Club is in their DNA, witty and willing and no shortage of wisecracks! 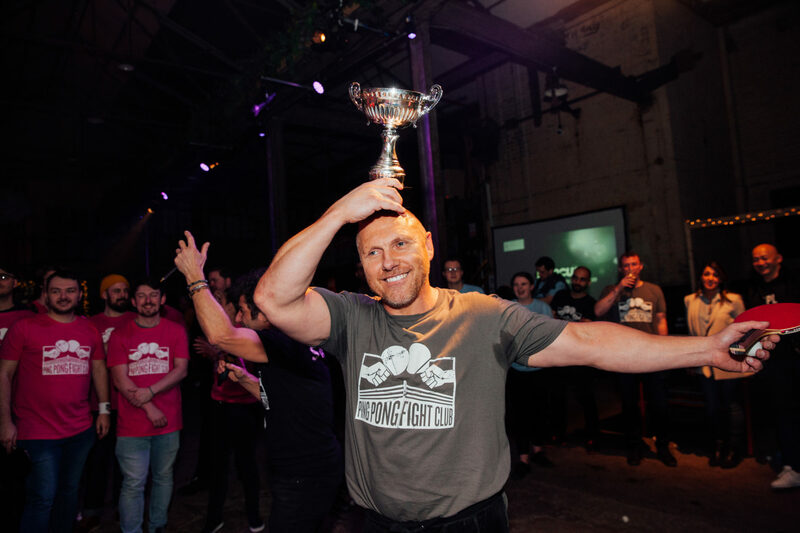 Grant Thornton - Rowdy, unruly…can’t wait to have them back! 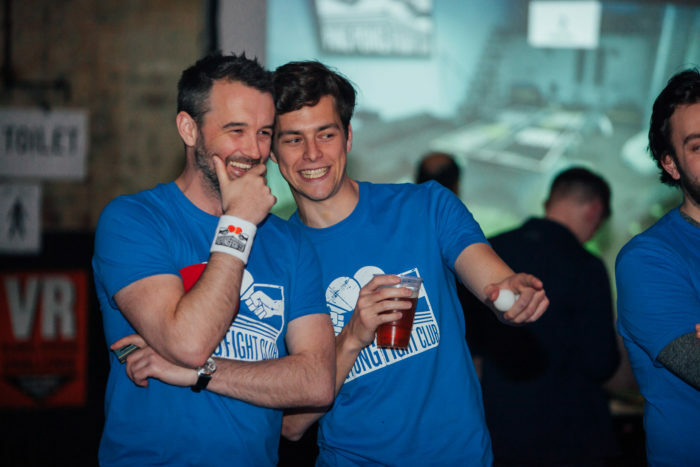 ARUP - Arrived as Fight Club virgins, left as Fight Club veterans! 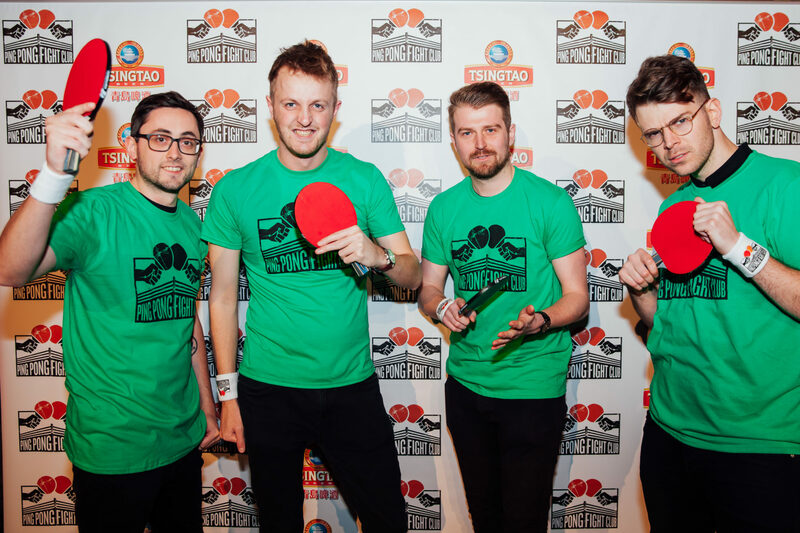 They were great value on and off the tables! 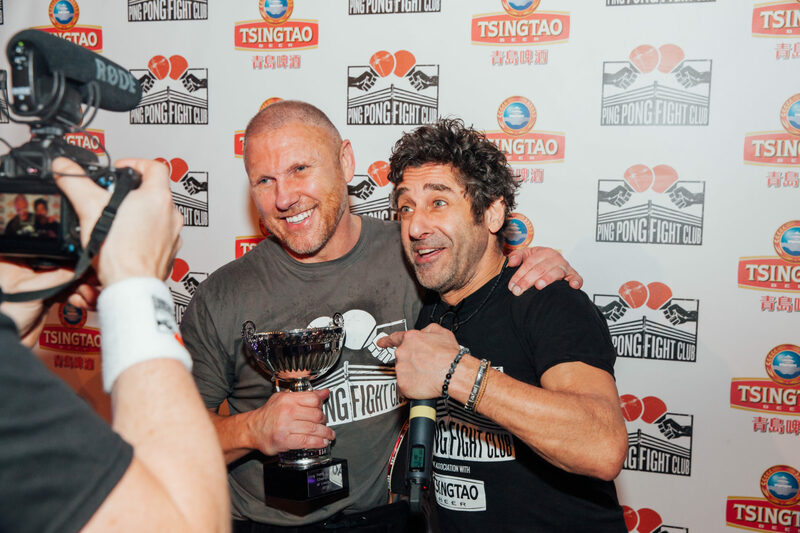 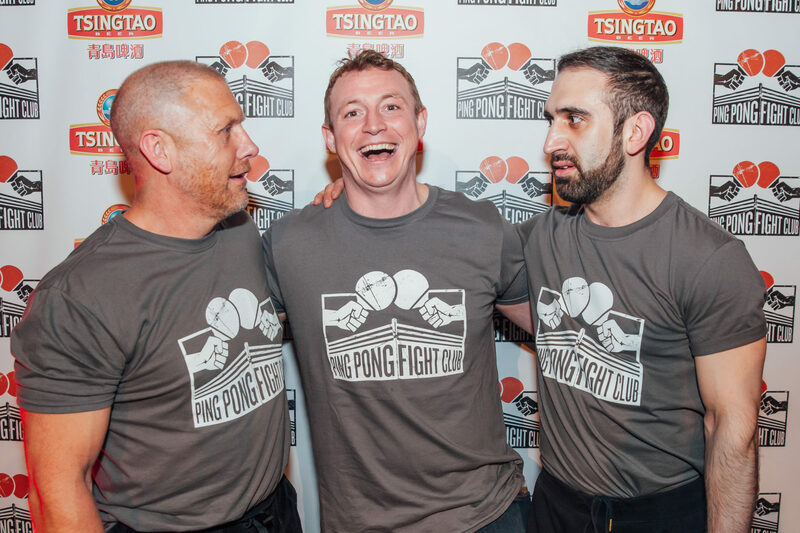 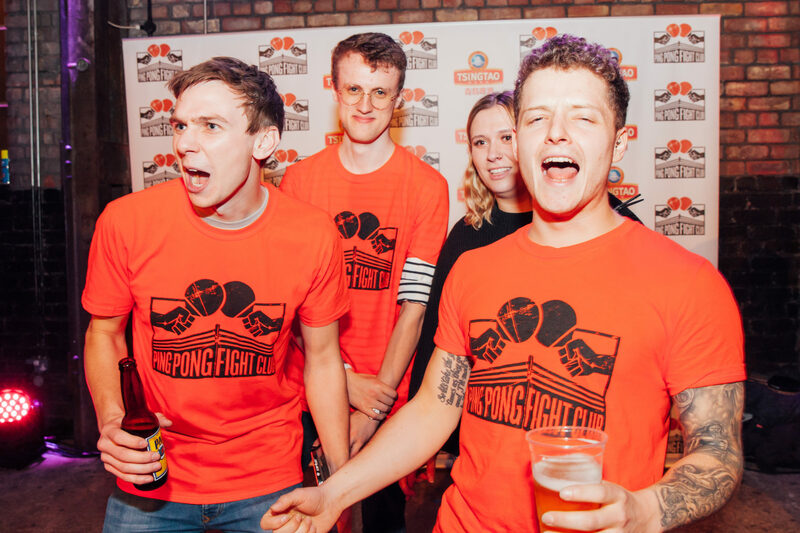 Angel Solutions – Fresh faced Fight Clubbers made an impression…at the bar! 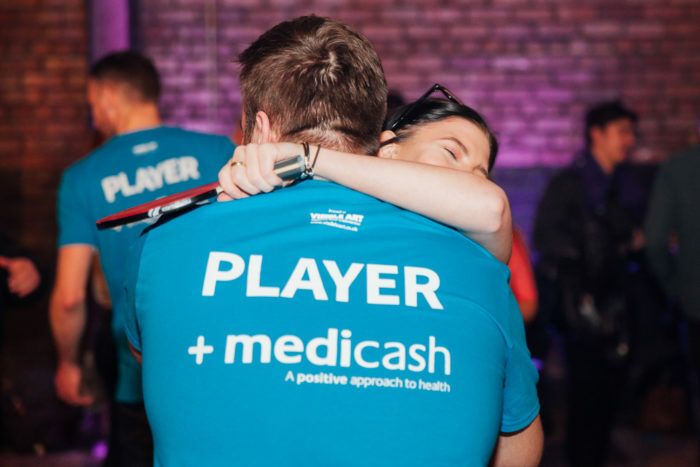 Medicash - A fully integrated ping pong social machine! 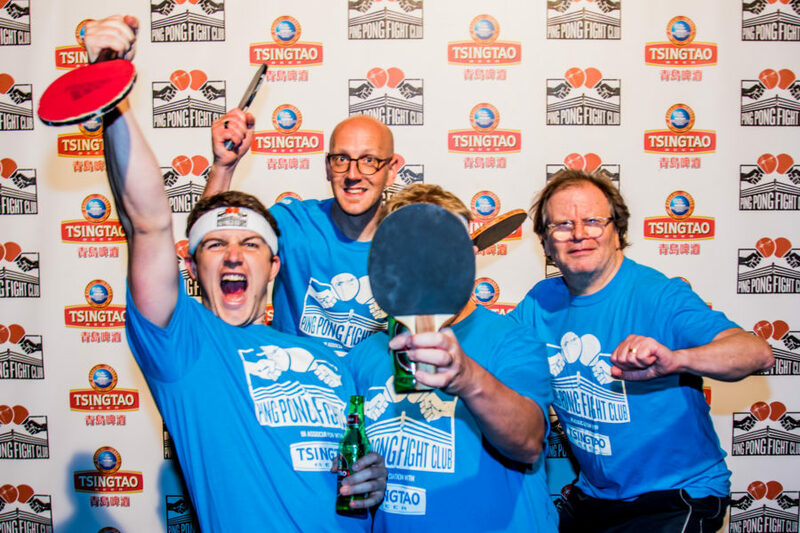 They were never without a beer, a paddle or a smile! 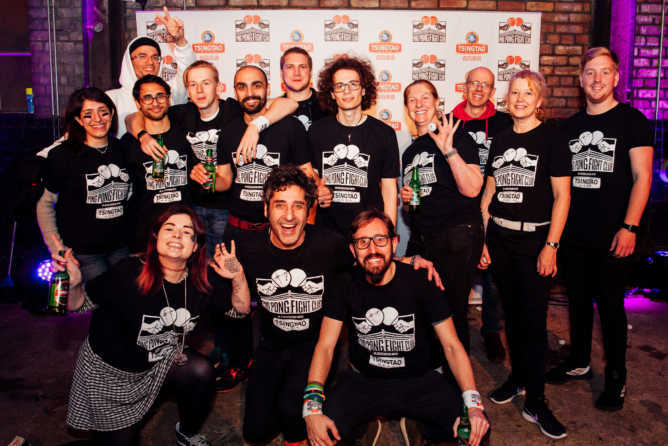 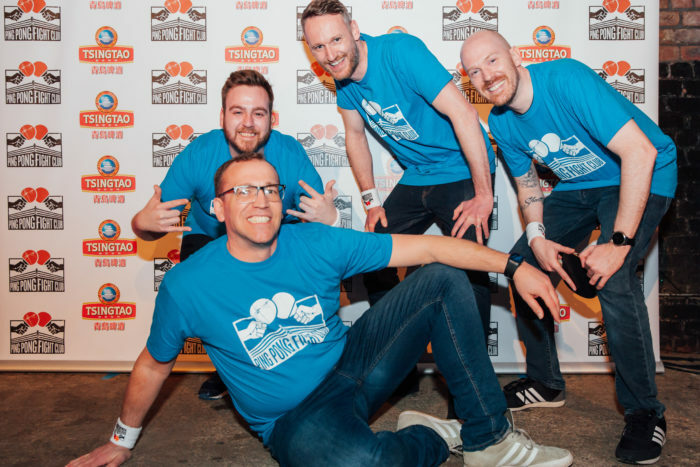 Baltic Triangle All-Stars - Rebellious bunch of disruptive entrepreneurs, our kind of people! 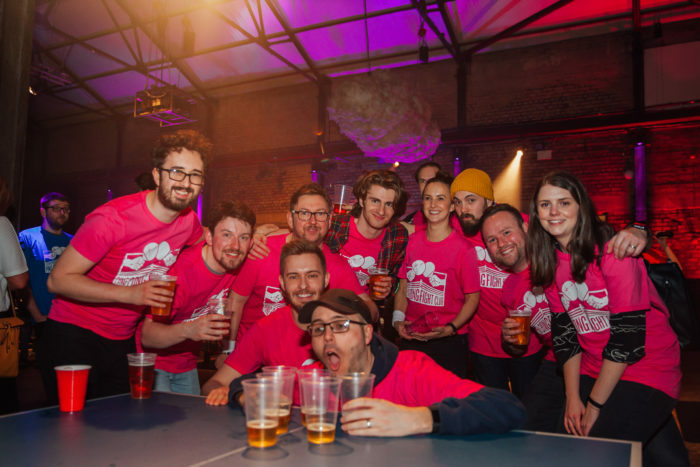 Hype Independent – High-energy fun-loving start-up crew doing great things in Liverpool, watch this space! 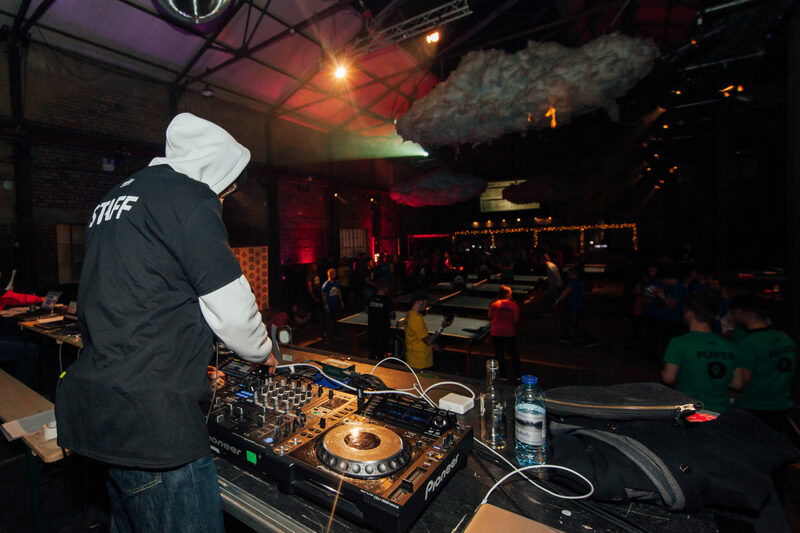 The night started with as our vibe master-in-chief DJ Thomas from Paris playing some serious bass-lined grooves to warm up to, as all the players took to the tables, scoped out the opposition and made sure they’d brought their ‘A Game’ with them. 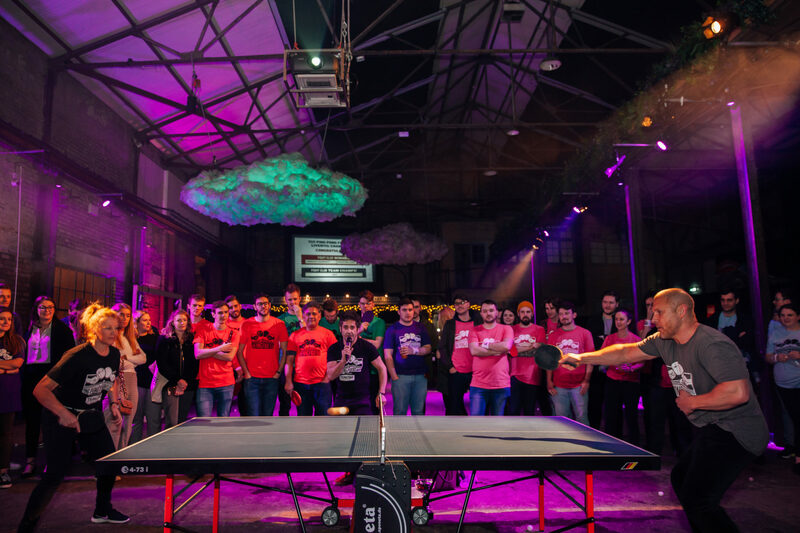 Meanwhile, the ping pong party crowd got involved in the ‘Pongbot Challenge’ (our ping pong robot firing 70 balls a minute at all-comers! 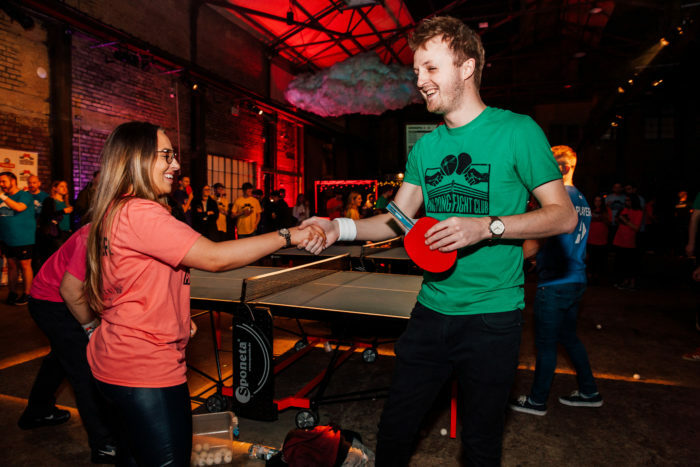 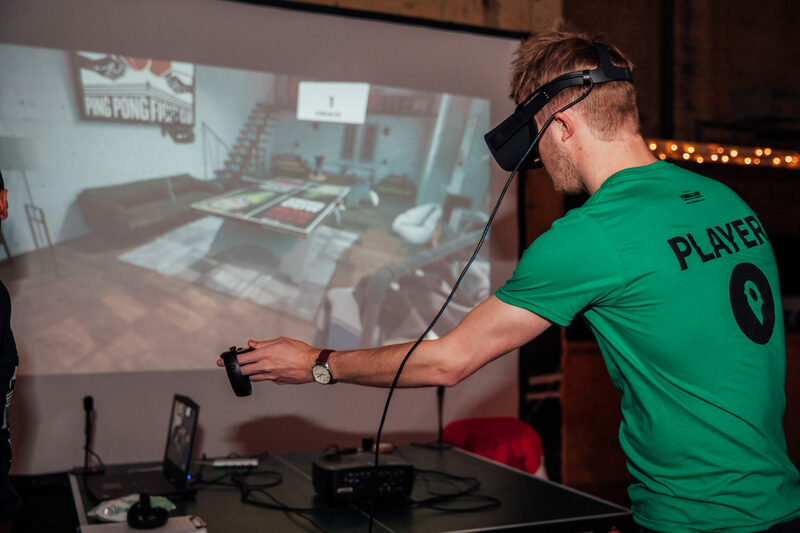 ), Inter-company beer pong championships, doubles tournaments, social play and our latest feature VR ping pong, going head to head against a virtual reality ping pong robot in a New York loft! 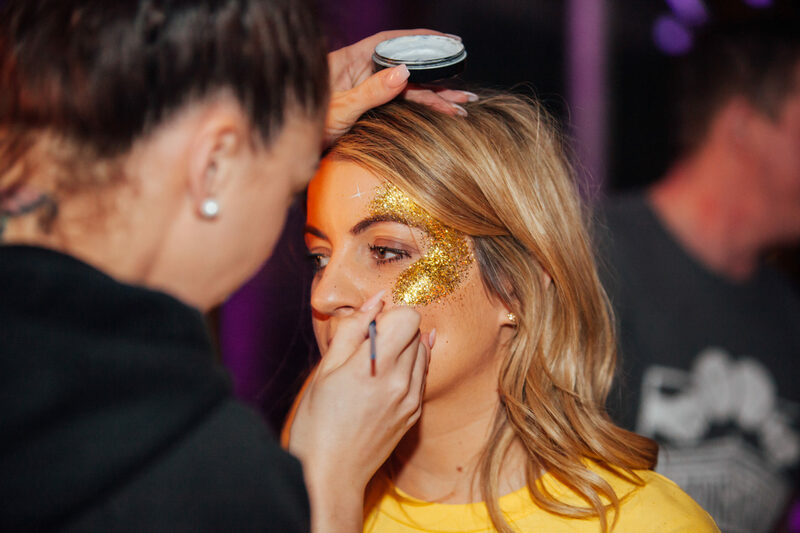 Add glittering ‘battle scars and butterflies from our resident face-painter Danielle from ‘Face the Strange’, team coloured t-shirts and wristbands, and everyone was ready for action. 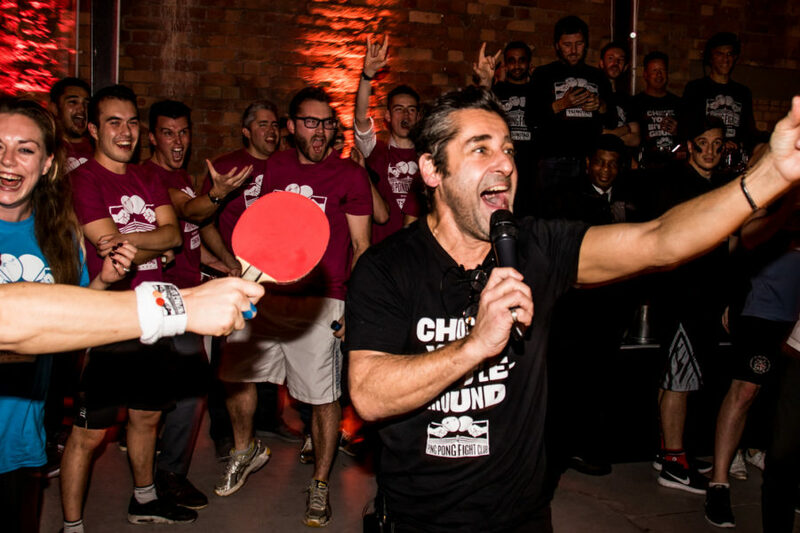 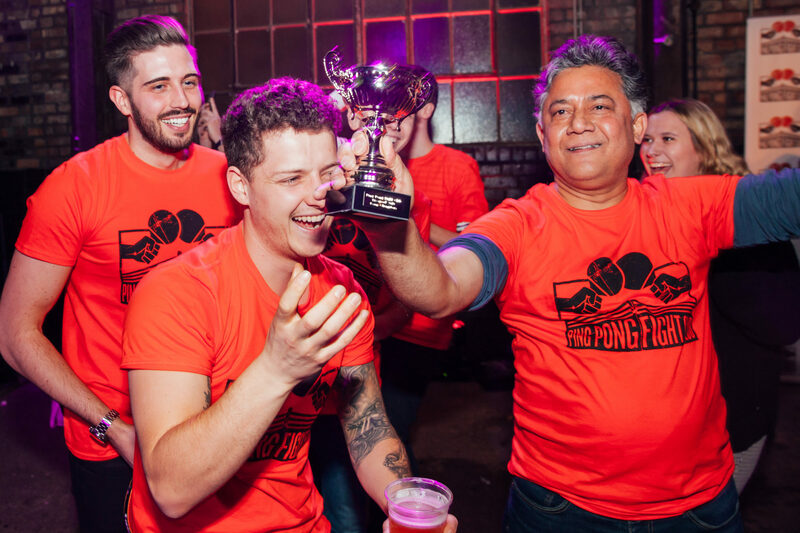 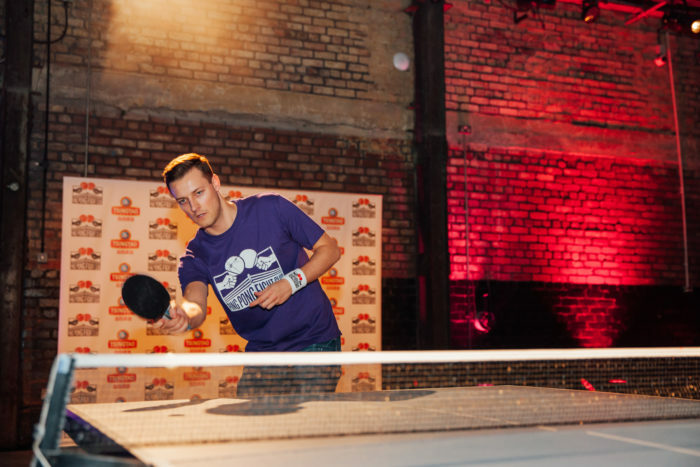 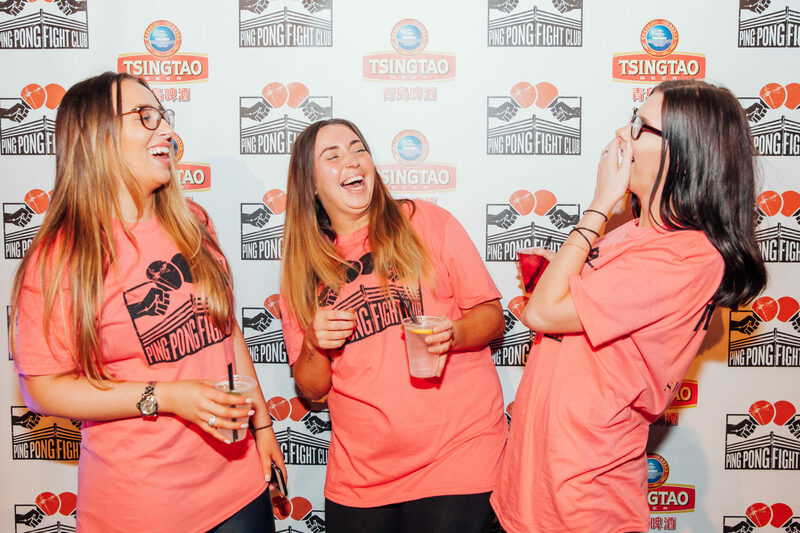 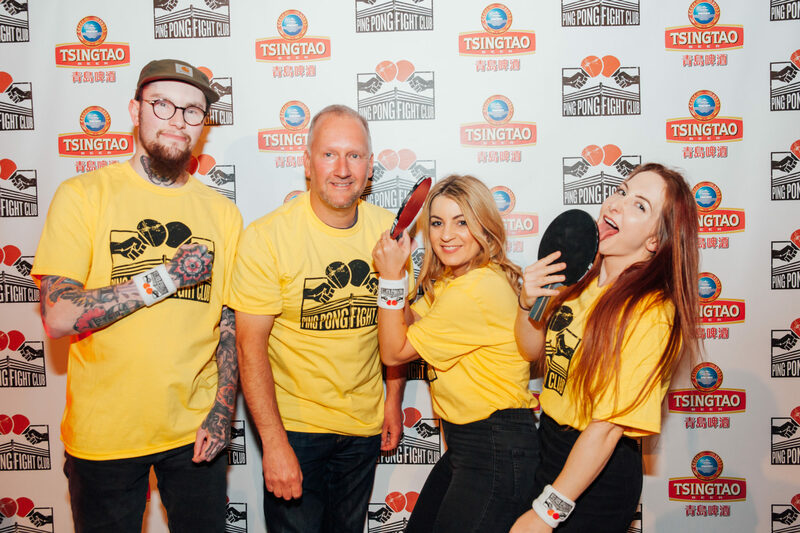 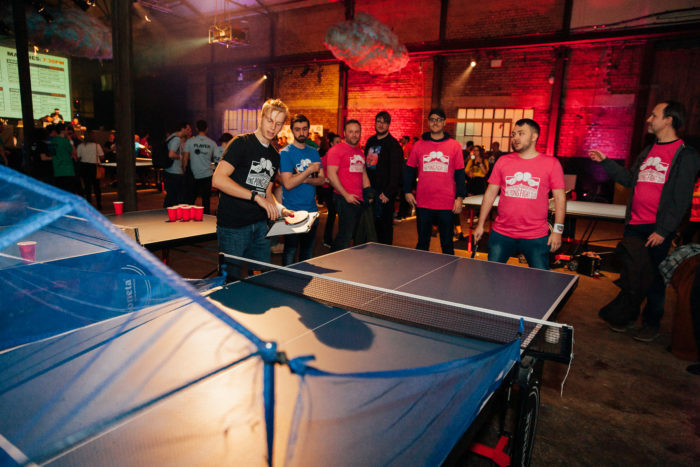 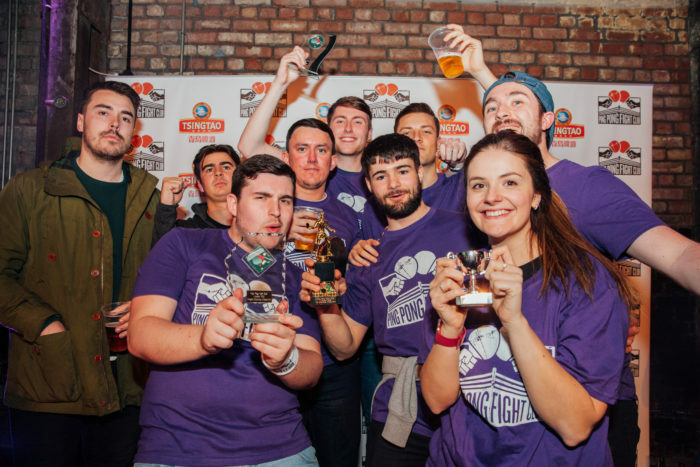 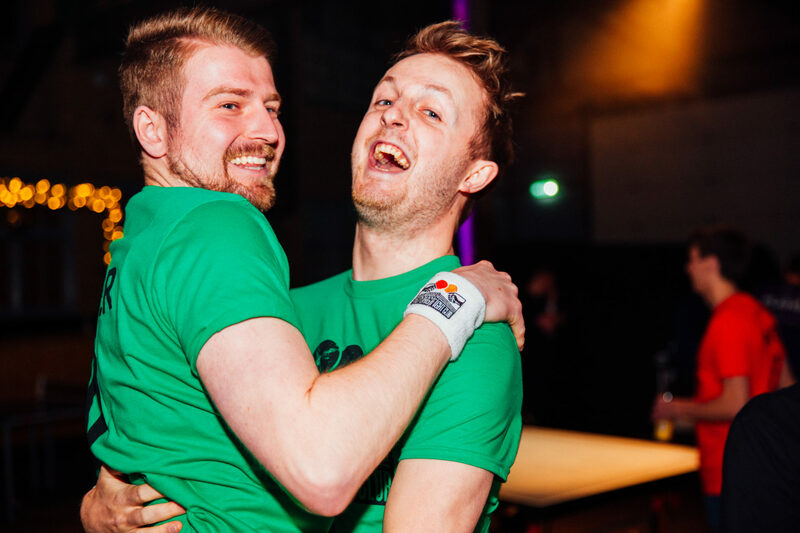 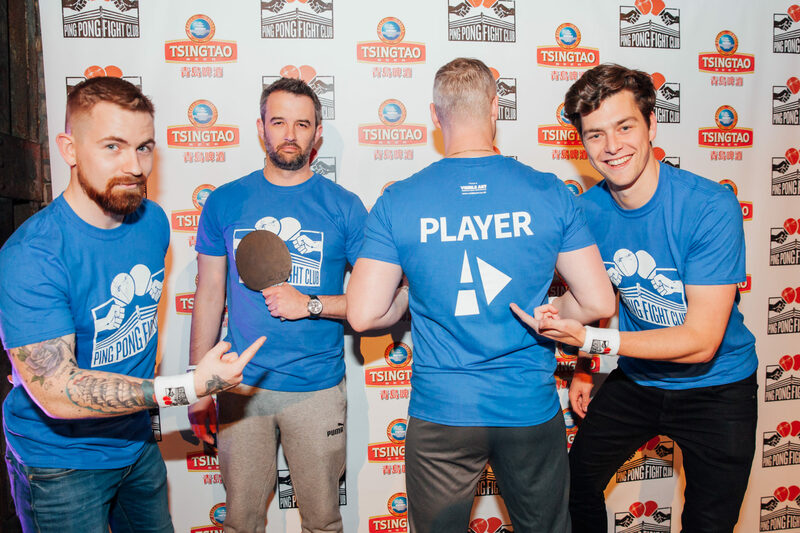 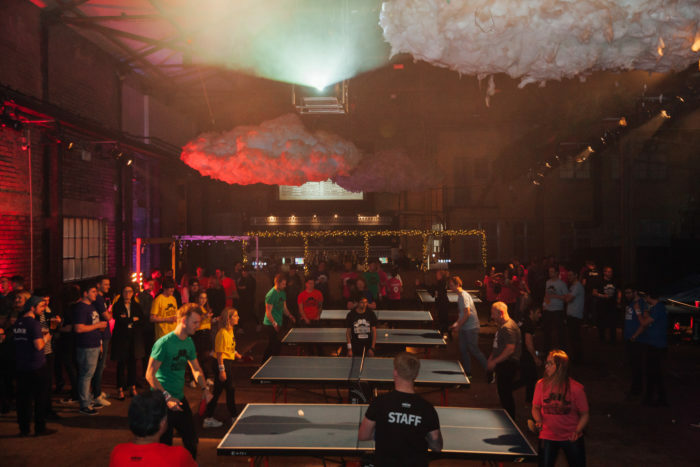 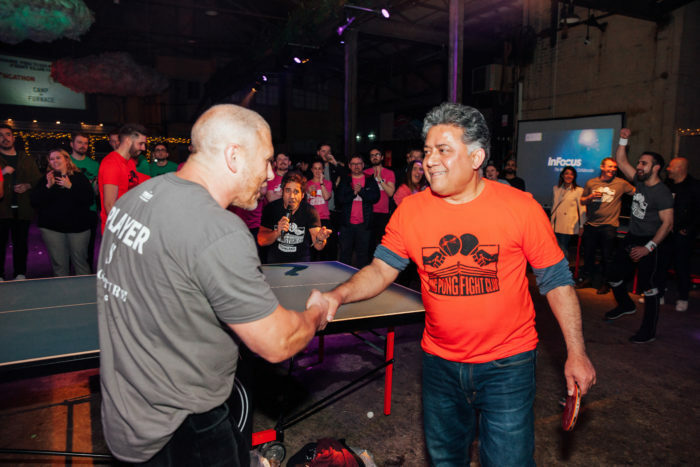 As the ping pong entertainment brought new friends and ‘frenemies’ together, the tournament continued in the middle of the arena, as the players battled for their company’s honour. 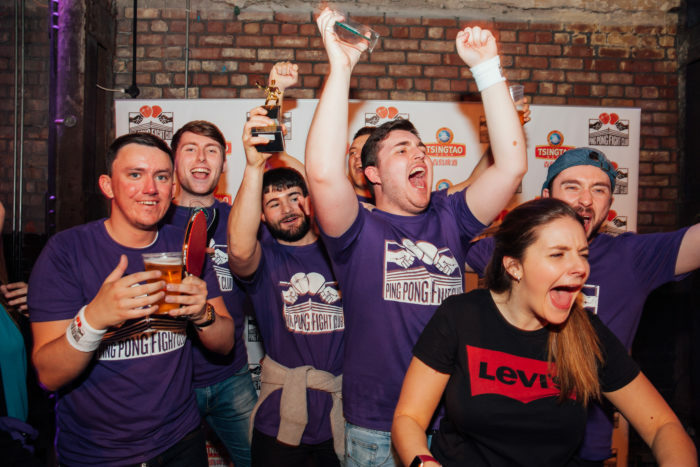 Sinews were stretched, matches were hard fought and screams of jubilation and groans of commiseration played out in equal measure. 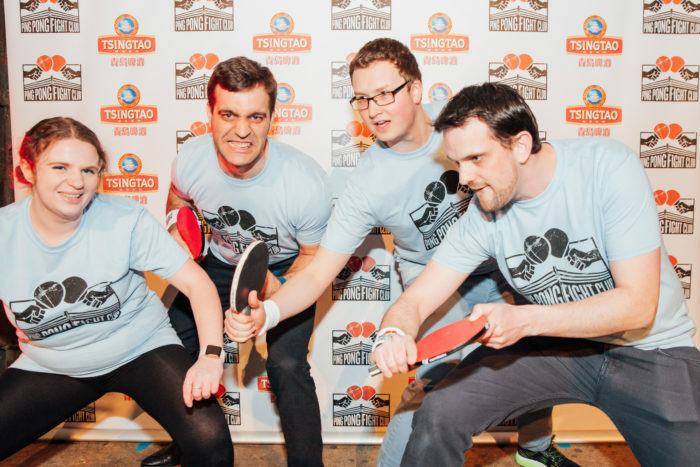 However, like with all great sporting occasions, there were winners and those that did not win (but won anyway!). 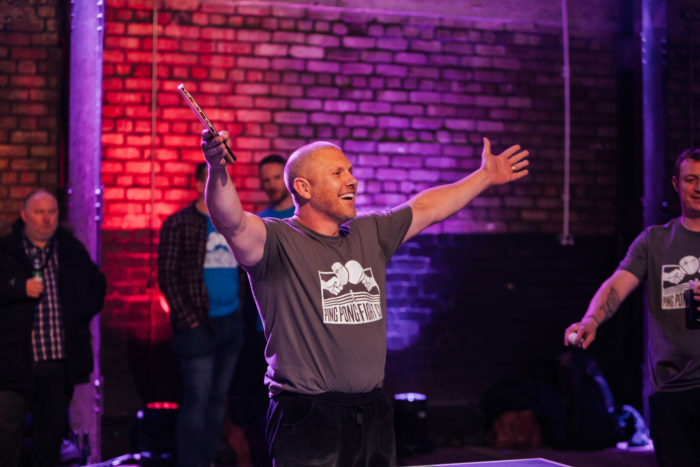 We were even treated to an exhibition of professional table tennis from our double Olympian Andrea Holt who took on our 2019 champion Lawrence Kenwright in a thrilling and entertaining 21-point encounter. Lawrence narrowly missed out on a big victory, but with his brand-new table as the prize for being our champion this will no doubt soften the blow! 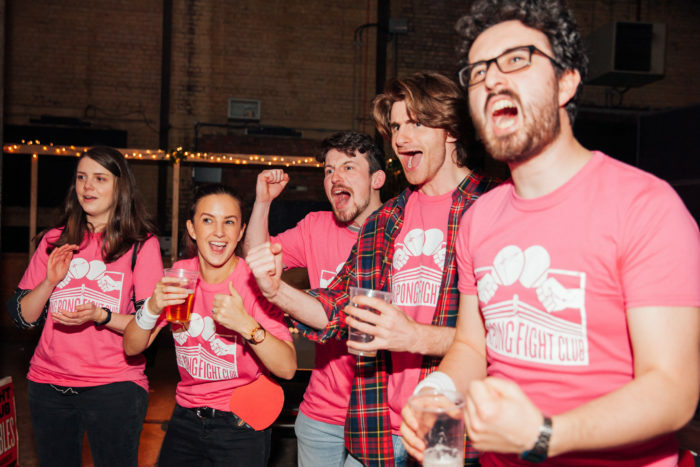 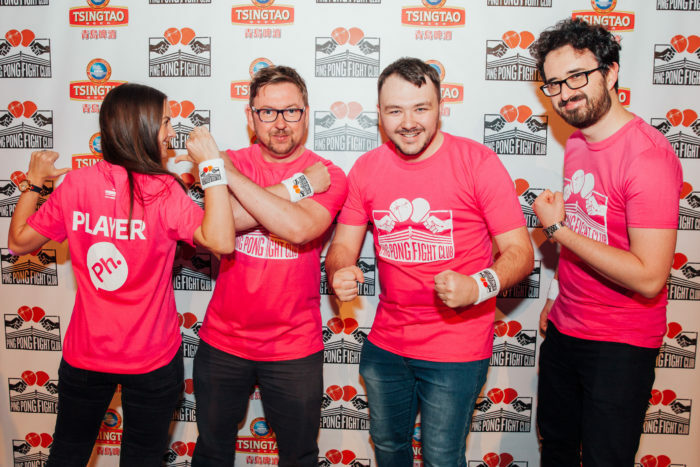 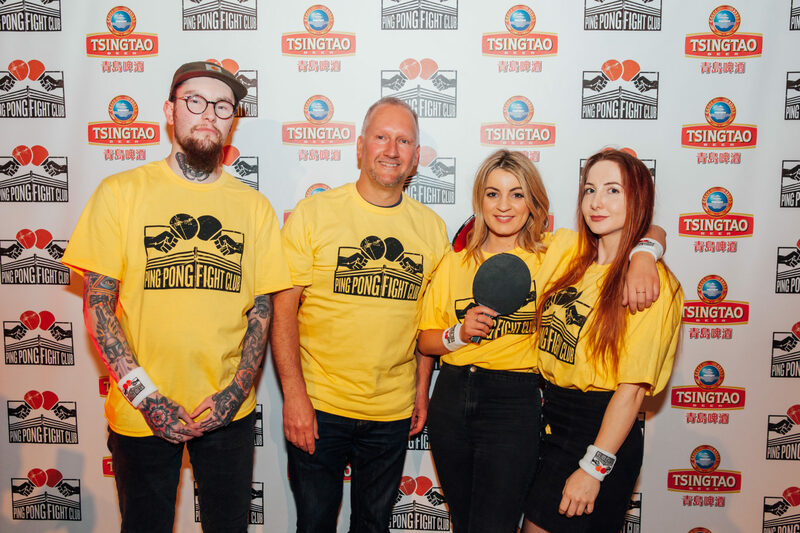 Huge big ups to all our amazing Ping Pong Fight Club crew that brought some order out of the chaos, our partners Table Tennis England for supporting our mission to increase the number of women playing the beautiful game across the UK (well done Signature Living all-women’s team!) 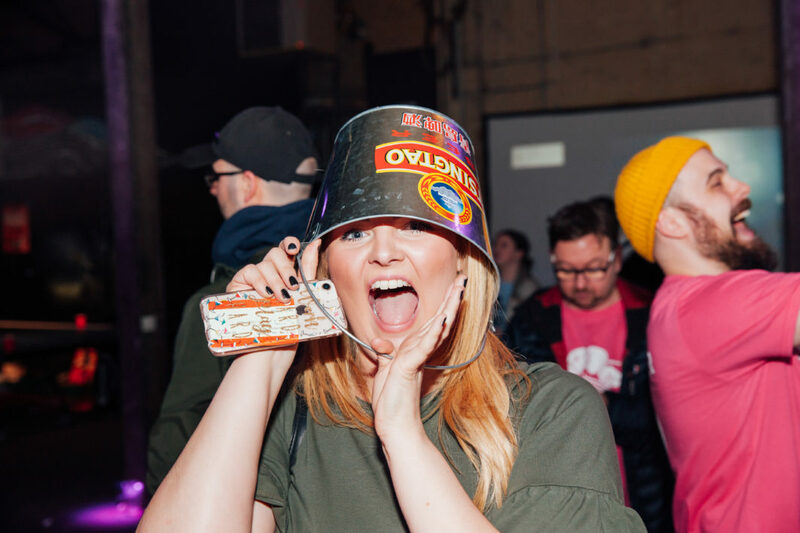 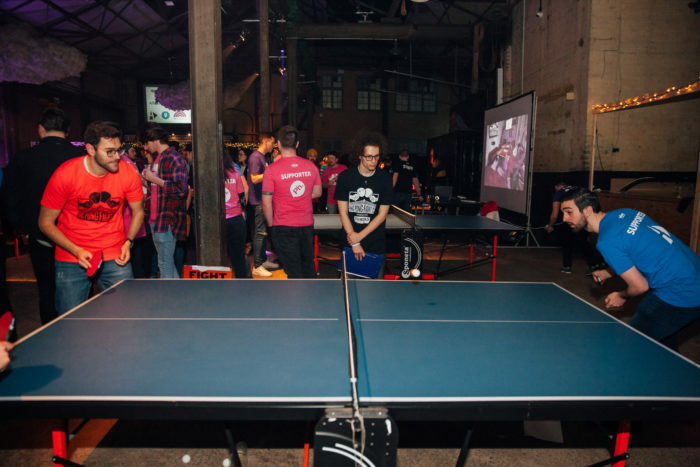 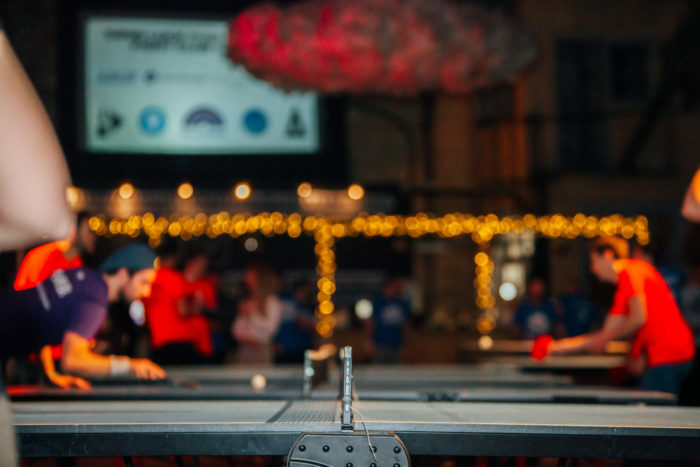 and Camp and Furnace for letting us have their incredible space to play, party and compete in the only way we know how: with more fun than you can shake a paddle at! 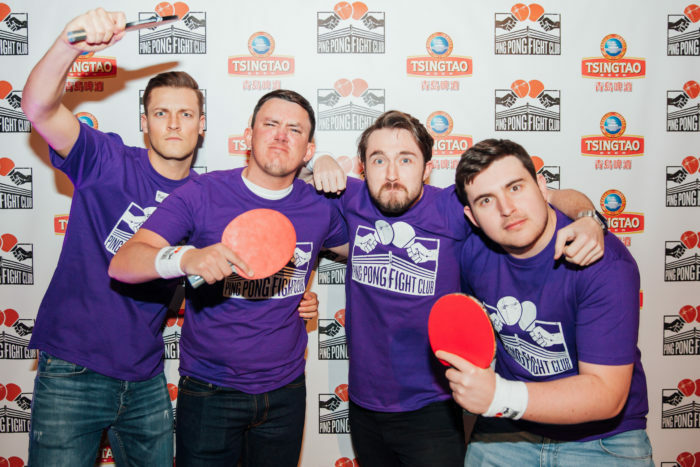 The first rule of Ping Pong Fight Club is to let people know of Liverpool’s worst kept secret that its the best team night out of year! 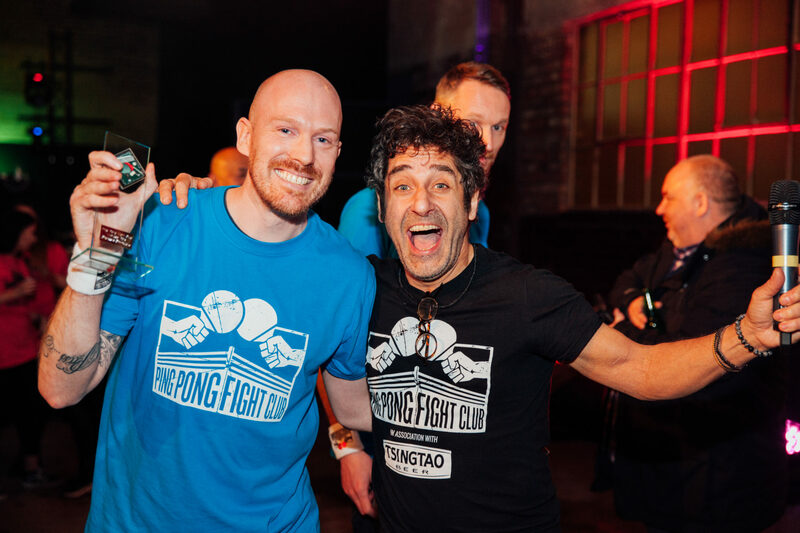 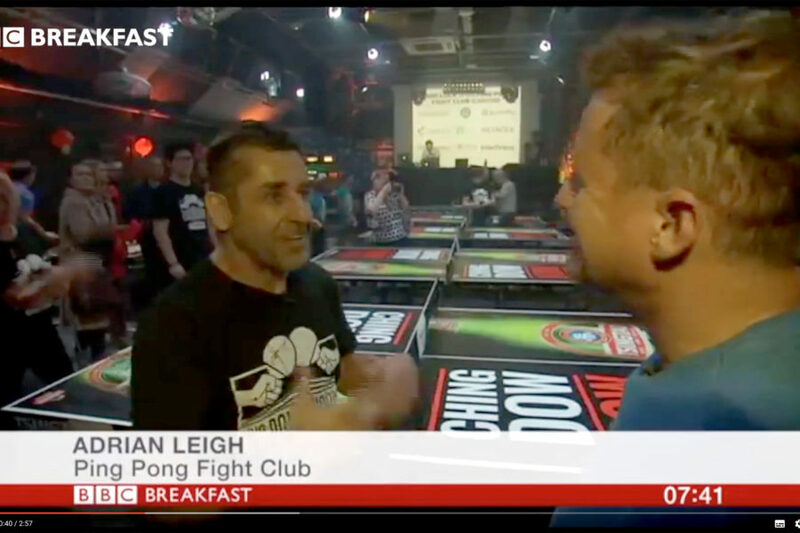 Book your place now for PPFC Liverpool 2020 at http://www.pingpongfightclub.co.uk/liverpool . Why not get in touch with one of your fellow ‘Fight Clubbers’ and challenge them to a ‘face off’?